FAIPS-DPS has marked its name at the global level in the field of Taekwondo. Zaid Aboobacker and Mohammed Muhsin of Class 6, completed a 10 day training from 28th May to 6th June, 2018 at Jeju, S.Korea. The team along with the coach, Balraj Kadyan was invited by Prof. Choi of Halla University to participate in the camp keeping the upcoming Korea Open Taekwondo Championship in focus. 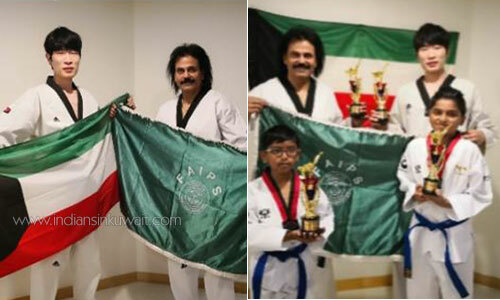 This team is selected for the World Taekwondo Poomsae Competition. The students and the coach were highly appreciated for their rigorous stamina and commendable performance. Prof. Choi also appreciated the school and the parents for having recognized the talent of the students and giving them the opportunity to participate in such a grand and magnificent program. 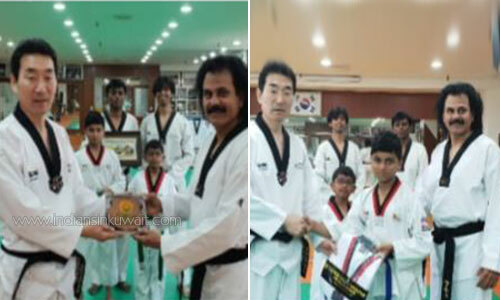 Upon successful completion of training in Taekwondo martial arts and etiquette, certificates and mementos were awarded. Overall, it was a great educational and cultural experience for the team from FAIPS, DPS which wouldn’t have been possible without the immense support from the Principal, Mrs.Anju Dheman.